CRAWFORD, Texas — President Bush and first lady Laura Bush were moved to an armored vehicle on their ranch Friday when a tornado warning was issued in central Texas, the White House said. The vehicle was driven to a tornado shelter on the ranch, and the president, Mrs. Bush and their two dogs sat inside until the weather cleared, deputy White House press secretary Scott Stanzel said. They were never moved into the shelter, he said. The National Weather Service issued a tornado warning at 2:34 p.m. CST after a severe thunderstorm with a history of producing tornadoes was reported 13 miles south of Clifton, Texas, and moving northeast. Clifton is 20 miles northwest of Crawford. DENVER — The second major snow storm in a week pounded Colorado on Friday, burying the foothills under another 2 feet of snow, shutting down highways and forcing the cancellation of hundreds of flights at the Denver airport. The storm stretched across the Rocky Mountains into the western Plains, where the National Weather Service warned that the gusting wind could whip up blinding whiteouts. Colorado Gov. Bill Owens again declared a statewide disaster, putting the National Guard on standby as areas west of Denver got 28 inches of snow Thursday and early Friday. In the city, more than a foot of snow had fallen by morning and another foot was expected. United Airlines and Frontier Airlines, the largest carriers at Denver International Airport, canceled 513 flights starting Thursday through Friday morning, trimming their schedules to ease congestion from weather delays. Dec. 28 (Bloomberg) -- Bird flu killed three members of a family in Egypt, pushing the number of fatalities worldwide this year to 79, more than reported in the previous three years combined. The Egyptian Ministry of Health and Population confirmed that the H5N1 strain of avian influenza had infected the three, who belong to an extended family in Gharbiyah province, 80 kilometers (50 miles), northwest of the capital, Cairo, the World Health Organization said in a statement yesterday. ``While being transferred and cared for at the country's designated avian influenza hospital, a 30-year-old female, a 15- year-old girl and a 26-year-old male died,'' the United Nations health agency said in the statement on its Web site. 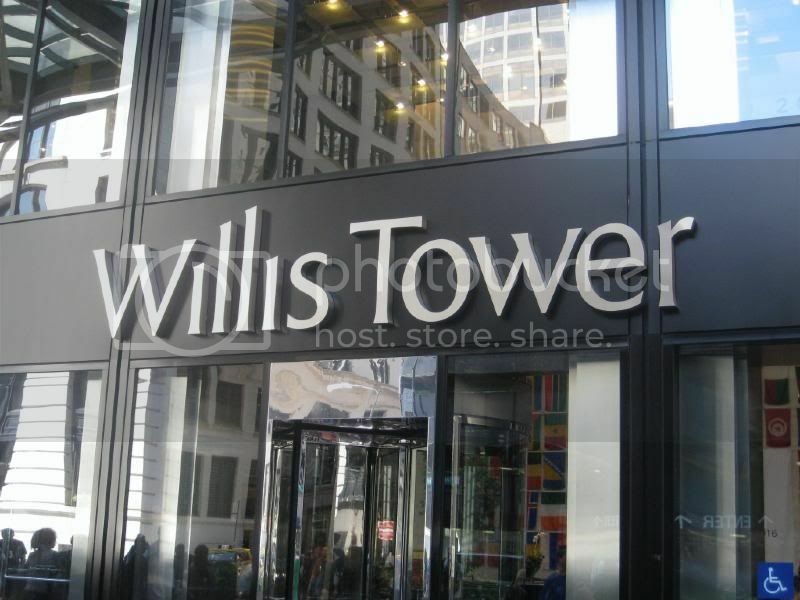 The most recent death occurred yesterday, the agency said. The patients had all been in contact with sick ducks, WHO said. Egypt has struggled to control H5N1 outbreaks in poultry, first reported in February, leading to at least 18 human cases, including 10 deaths. Diseased birds increase the opportunities for human infection and provide chances for H5N1 to mutate into a form more dangerous to people. Millions could die if H5N1 becomes easily transmissible between people, sparking a lethal pandemic. HANOI, Dec 28 (Reuters) - A third Vietnamese province on Thursday recorded an outbreak of bird flu in poultry, a day after the Agriculture Ministry said the disease had been contained. The Animal Health Department said tests confirmed the presence of the H5N1 virus in a flock of 450 ducks in Hau Giang province, adjacent to Bac Lieu and Ca Mau where more than 9,000 ducks and chicken have been slaughtered since bird flu was identified there on Dec. 11. The virus first arrived in Vietnam's Mekong Delta in late 2003 and has since killed 42 of the 93 people infected in Vietnam. LONDON, England (Reuters) -- An earthquake measuring 3.5 on the Richter scale hit Scotland on Tuesday, the largest tremor in Britain this year, the British Geological Survey (BGS) said. Police said hundreds of residents in the Dumfries and Galloway area of southern Scotland reported a tremor that shook houses around 1040 GMT. "This was a significant earthquake," said Bennett Simpson, a seismologist with the BGS in Edinburgh. "We have taken a number of calls from people in the Dumfries area reporting windows rattling, houses shaking and hearing a large bang," said Simpson. "It's a small earthquake overall but it's the biggest in the UK so far this year." No damage or injuries were reported, police said. The BSG said one or two earthquakes of this magnitude were expected in Britain every year. The San Francisco Bay Area was nudged Monday morning by its fourth small earthquake in six days, but no injuries or major damage were reported. Monday's quake, at magnitude 2.6, was the smallest in a recent series of temblors occurring along the Hayward fault, which runs underneath the east side of San Francisco Bay. Last week a pair of magnitude 3.7 quakes and a magnitude 3.5 temblor struck. BISHKEK, Kyrgyzstan (AP) - A magnitude 5.5 earthquake struck northern Kyrgyzstan on Tuesday, causing cracks in buildings but no casualties, the state Seismology Institute said. The quake, which occurred at about 2 a.m., was centered in the border area between the Naryn and Issyk-Kul regions, about 160 kilometers (99 miles) southeast of the capital Bishkek, said Alla Fortuna, an expert at the Institute. Fortuna said the quake caused cracks in houses in the village of Kochkor, which was 30 kilometers (18 miles) away from the epicenter, but no casualties were reported. In Bishkek, tremors measured around 4 on the Richter scale, Fortuna said. The U.S. National Earthquake Information Center in Golden, Colorado, said the quake registered 5.8 on the Richter scale and occurred at a depth of 6 miles (9.7 kilometers). Two minor earthquakes shook central Oklahoma, rattling nerves but causing no serious damage or injuries, authorities said. The quakes were centered in the Del City-Midwest City area east of Oklahoma City. The first struck at 8:41 p.m. Wednesday with a preliminary magnitude of 2.6. The second, at 12:14 a.m. Thursday, had a preliminary reading of 2.7, according to the Oklahoma Geological Survey. "The quake scared a lot of people," Midwest City Police Chief Brandon Clabes said. "We had multiple calls about shaking homes. They thought it was some kind of explosion." Central Oklahoma sits over a subsurface geologic structure called the Nemaha Ridge and experiences up to a dozen earthquakes each year, said Charles Mankin, director of the Survey. "These are fairly small earthquakes," he said. "They're mostly adjustments." NEW ORLEANS — Heavy rain swamped New Orleans' streets Thursday, backing up traffic as pumping stations struggled to keep up. "Unbelievable," said Pamela Borne, who waded in knee-high water with her daughter on her back to get to her house. "It's very disappointing, that just with an overnight rain of this magnitude, that the city is so ill-prepared." Most of her home was above the water level, but its ground-level basement, where she had stashed Christmas presents, had 4 inches of water in it before noon, Borne said. Pumping stations, closely watched since the catastrophic flooding after Hurricane Katrina in August 2005, were working, officials said. But the rain lasted so long, they couldn't keep up, said public works director Jose Gonzalez of Jefferson Parish. "The rest of the day, we will continue to pump," Gonzalez said. "Hopefully, it's not going to rain as much as it did this morning. ... The amount of rain, that's what hurt us." The same storm that dumped snow across the West brought about 6.6 inches of rain to the New Orleans area through midday Thursday. The National Weather Service issued a flash flood watch until noon Friday for parts of east-central and southeastern Louisiana. The community of Larose, about 60 miles south of New Orleans, got an estimated 10 to 12 inches of rain, said meteorologist Fred Zeigler said. Parts of southeastern Louisiana, leading up to New Orleans, had 6 to 8 inches, he said. WASHINGTON — The fossil bones of what may have been Europe's largest animal ever, a new type of dinosaur, have been discovered in Spain. Discovery of the sauropod, estimated to have weighed between 40 and 48 tons, is reported in Friday's issue of the journal Science. Named Turiasaurus riodevensis, the animal lived in the Teruel area of what is now Spain in the late Jurassic period, about 150 million years ago. 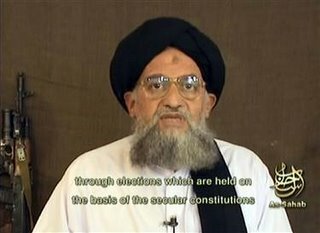 CAIRO, Egypt - The deputy leader of the al-Qaida terror group, Ayman al-Zawahri, has come out against early elections in the Palestinian territories, saying in a video tape broadcast on Al-Jazeera on Wednesday that voting would lead only to defeat and the right policy was armed struggle. Entering the argument over Palestinian President Mahmoud Abbas's proposal for early elections to resolve the conflict between the Fatah and Hamas parties, al-Zawahri said the only way was armed struggle. "Any way other than holy war, will lead us only to loss and defeat," al-Zawahri said. It's been more than five years since terrorists reduced the World Trade Center to an empty pit, but Ground Zero still can make Gov. Pataki choke up. The governor's voice appeared to falter for a moment yesterday during his last visit to Ground Zero before leaving office. After thanking Mayor Bloomberg and other partners in the rebuilding effort, Pataki turned to address Port Authority Commissioner Christy Ferer, whose husband, former agency Executive Director Neil Levin, was killed on 9/11. "Christy, we build this for Neil," Pataki said as the first steel beams were being raised in the construction of the 1,776-foot Freedom Tower. "We build this for you," he added, with a tug in his voice. "We build this for the heroes of Sept. 11 and to express our love for them and our belief and confidence in our future. Their names will be a part of this rising." THOUSANDS of poultry died of bird flu in the past two weeks in southern Vietnam, the government said today, in the country's first reported outbreak in a year. Tests showed that some 5500 one-month-old ducks and 500 chickens died of the H5N1 bird flu strain in the southern Mekong Delta provinces of Ca Mau and Bac Lieu, said Hoang Van Nam, deputy director of the Department of Animal Health. Hanoi (dpa) - Vietnam on Tuesday confirmed two new outbreaks of bird flu in domestic poultry, the first in more than a year in the country once hardest-hit by the deadly H5N1 strain. Thousands of chickens and ducks will be slaughtered in two Mekong Delta provinces to prevent the spread of the disease, which has killed 158 people and hundreds of millions of chickens worldwide. The H5N1 strain of bird flu is not easily contagious among humans, but scientists fear if it is left unchecked it could mutate into a new human influenza pandemic strain, threatening the lives of millions of people who would have no natural immunity. Earlier this year, Vietnam - which has seen 42 people die from bird flu since 2003 - declared it had brought bird flu under control through an aggressive programme of vaccinations. Here is a new thing out there. It's called the Heart Attack Grill. Let me know your thoughts. I know the UW would eat there time and time again. What an esquisite and lavish place to eat. I have posted the pic of a Triple By-Pass Burger they offer. Click on link below for a mouth watering look at the menu! MANILA (Reuters) - Typhoon Utor swept out of the Philippines killing four people, including three children, and stranding thousands on Monday after high winds and waves tore up power lines and communication links in the archipelago. Utor, currently a category 1 typhoon with gusts of around 140 kph (93 mph), was forecast to weaken to a tropical storm by Friday on a path that peters out south of the Chinese island of Hainan by the weekend, according to www.tropicalstormrisk.com. The National Disaster Coordinating Council (NDCC) said three children were confirmed dead, including a one-year-old girl whose house was struck by a falling tree in central Capiz province. Four were listed as missing. South Korean officials said Monday they discovered a new case of highly pathogenic avian influenza at a quail farm in the southwestern part of the country. The disease was suspected to have recently killed about 1,000 quails at the farm in Gimje, 262 kilometers southwest of Seoul, the Ministry of Agriculture and Forestry said in a press release. The discovery was the third case since Nov. 25, when an outbreak of highly pathogenic bird flu was confirmed, the first case in three years, on a poultry farm in Iksan, about 230 kilometers south of Seoul. The latest outbreak occurred 18 kilometers south of the farm in Iksan. MANILA, Philippines – A new storm system approaching the Philippines is on track to become the second typhoon in 10 days to batter the archipelago, as the country struggles to recover from mudslides that left more than 1,000 people dead or missing, forecasters said Thursday. The tropical depression was about 600 miles east of Leyte island and was forecast to make landfall Saturday, before moving toward the central city of Cebu, where Asian leaders are gathering for a three-day summit starting Monday, weather projections show. The Philippine weather bureau said the storm was packing sustained winds of 34 mph on Thursday and moving west at 12 mph. The system is forecast to intensify into a typhoon, the U.S. Joint Typhoon Warning Center said. The Philippines is hit by about 20 typhoons and storms a year, which frequently trigger deadly landslides and flash floods. In 1991, a flash flood in Ormoc city on the western side of Leyte island killed about 6,000 people. Last week, Typhoon Durian, with winds of up to 165 mph, unleashed walls of volcanic debris, mud and floodwaters on villages on the slopes of the Mayon volcano in the Bicol region, southeast of Manila. Official figures showed 570 people were killed and 746 are missing and feared dead. More than 1 million people in 13 eastern provinces were affected, and about 20,000 have gone to evacuation centers. With the help of foreign aid, the government has launched a massive cleanup operation. RADIATION STORM: A radiation storm is underway. Based on the energy and number of solar protons streaming past Earth, NOAA ranks the storm as category S3: satellites may experience single-event upsets and astronauts should practice "radiation avoidance." The rush of protons may be a sign of an approaching CME (coronal mass ejection). Protons are accelerated in shock waves at the leading-edge of CMEs, so when the proton count rises, we can guess that a CME is en route. Northern sky watchers should remain alert for auroras, which could flare up if and when a CME arrives. ANGRY SUNSPOT: Radio astronomer Thomas Ashcraft knew something was up yesterday when a loud roar came out of the loudspeaker of his 22 MHz shortwave receiver in New Mexico: Sunspot 930 had exploded again. 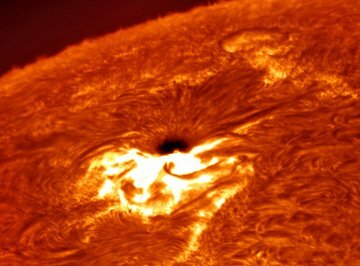 The X6-class flare sent shock waves billowing through the sun's atmosphere, producing among other things a Type II solar radio burst: listen. NOAA forecasters estimate a 50% chance of another X-flare during the next 24 hours. Further explosions could intensify the ongoing radiation storm and improve the chances for widespread auroras. Stay tuned. A tornado has swept through an area of north-west London leaving a trail of destruction behind. Several buildings and cars were badly damaged when the freak weather hit Kensal Rise. Police said no-one had been injured A total of 11 fire crews were called to Chamberlayne Road and the road has been closed to traffic. One witness said there was heavy rain and sleet and he saw debris "falling through the air". Emergency services were called at about 1100GMT to reports of collapsed scaffolding and damage to buildings. Liquid water has flowed on the surface of Mars within the past five years, according to new evidence that suggests the Red Planet could currently be capable of harbouring life. 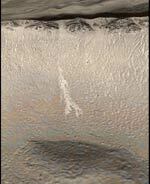 Images taken from an orbiting spacecraft have revealed two fresh features in the Martian landscape that scientists think were been formed by brief torrents of water as recently as 2001. HANOI, Vietnam (AP) - Vietnam's death toll from Tropical Storm Durian rose to 59 on Wednesday as authorities began cleaning up the country's south coast where more than 120,000 houses were destroyed, officials said. Dec 6 (Reuters) - Experts fighting bird flu around the world met in Mali on Wednesday to replenish their war chest and plot the next stage of their campaign to control the disease and avert a devastating human flu pandemic. Jan 18 - International donors pledge $1.9 billion to combat the spread of bird flu at a conference in Beijing. Feb 8 - The first African cases of the deadly H5N1 strain are detected in poultry in the northern Nigerian states of Kano, Kaduna and Plateau. Feb 11/12 - Italy says six wild swans found in Sicily and on the southern mainland tested positive for H5N1. In Greece, three swans found south of Thessaloniki test positive for H5N1. These are the first known cases of the strain in the EU. Several countries later report outbreaks in wild birds. Feb 17 - Egypt finds its first cases of H5N1 in chickens. Feb 18 - India announces its first cases of H5N1, finding the virus in poultry in a western state. Feb 22 - The EU approves plans by France and the Netherlands to vaccinate millions of hens, ducks and geese against bird flu. Feb 25 - France confirms H5N1 at a farm in the east where thousands of turkeys have died. It is the first case of the virus in domestic farm birds in the EU. May 11 - Djibouti announces its first case of human H5N1, the first confirmed case in a person in the Horn of Africa. July 26 - Pharmaceuticals group GlaxoSmithKline Plc says a bird flu vaccine for humans that uses only a very low dose of active ingredient has proved effective in clinical tests. Aug 8 - China says its first H5N1 human case was in 2003, and not in 2005 as it had originally reported. Sept 26 - WHO's new influenza pandemic task force calls on countries to share all virus samples and genetic sequencing data, key to developing a vaccine against a bird flu pandemic. Sept 28 - China shares long-sought after samples of H5N1 in what many scientists view as a breakthrough in cooperation. Oct 31 - Scientists in Hong Kong and the United States say they have detected a new strain of H5N1 bird flu virus in China and say it may have started another wave of outbreaks in poultry in Southeast Asia and may move deeper into Eurasia. China later rejects the report. Nov 28 - South Korea says it has found a second case of H5N1 bird flu at a poultry farm, after confirming days earlier it had its first outbreak in three years of the strain. Nov 29 - WHO confirms another death in Indonesia. The global death toll stands at 154. Dec 6 - A three-day meeting begins in Mali, the fourth global bird flu summit in a year. This meeting includes a donor conference to secure $1.2 - $1.5 billion over 2-3 years to add to $1.9 billion pledged in Beijing last January. HANOI, Vietnam - Tropical Storm Durian slammed into Vietnam's southern coast, killing at least 46 people, injuring more than 300 and destroying thousands of houses, officials said Tuesday. The deaths brought Vietnam's storm-related death toll to 49. Three fishermen drowned Monday off the coast of Phu Yen province when their boat capsized as the storm approached. The storm, believed to have killed more than 1,000 people in the Philippines, was packing winds of 117 kilometres per hour when it made landfall in the southern Vietnamese provinces of Ben Tre and Tra Vinh on Tuesday morning, weather forecasters said. In Ba Ria Vung Tau province, some 125 kilometres southeast of Ho Chi Minh City, at least 23 people were killed and nearly 150 others were injured when their houses collapsed, said Pham Nhat Quang, an official from the provincial military command. Some were killed and many were injured by flying tin sheets which were blown off the houses, he said. GUATEMALA CITY (AP) - A moderate earthquake jolted Guatemala on Sunday, shaking buildings and tossing light objects around. There were no immediate reports of injuries or damage. The quake had a magnitude of 5.8 and struck at 2:52 p.m. local time, about 60 miles southwest of the capital of Guatemala City, according to the U.S. Geological Survey. Officials at the National Coordination for Disaster Reduction said they had no reports of damage or injuries. Frigid temperatures contributed to four deaths Sunday, pushing the toll from a devastating ice and snow storm to 19 as hundreds of thousands waited another day for their electricity to be restored. MOORPARK, Calif. — A fire driven by strong Santa Ana winds Sunday destroyed five homes and a storage building and endangered hundreds of others in canyons and hillsides, authorities said. The blaze burned about 4,100 acres, or six square miles, destroying five homes and damaging five others, Ventura County Fire Capt. Barry Parker said. Fire officials called for voluntary evacuations as hundreds of residents packed up valuables while dozens of trailers used to transport livestock were lined up on a road. "The sheriff's said if you see flames, leave," said Dave Hare, who was at a home on the site of a recycling business he owns. GUINOBATAN, Philippines - At least 198 people were killed — most in mudslides on Mayon — and 260 were missing in the wake of Typhoon Durian, the national Office of Civil Defense reported. Another 130 were injured. The ash and boulders had been building up since an eruption in July, high on the slopes of the Mayon volcano. The typhoon's blasts of wind and drenching rain raked it all down in a deadly black wall of debris. For nearly three hours Thursday afternoon, mudslides ripped through Mayon’s gullies, uprooting trees, flattening houses and engulfing people. Entire hamlets were swamped in Mayon, on northern Luzon island.